If you’re having trouble deciding between compact crossover SUVs like the Subaru Forester vs the Toyota RAV4, then it’s time to take a closer look at the new Subaru Forester. This model combines everything Wilton drivers are looking for–off-road prowess; a practical, spacious cabin adorned with luxurious elements; and new safety technology. Pick out your favorite trim level from our inventory below, and then head to Garavel Subaru near Westport to start the financing process! To learn more, compare the available Subaru Forester features and towing specs in more detail at Edmunds.com, or see how it matches up to the Outback. You can also explore our other inventory like the new Subaru Crosstrek. 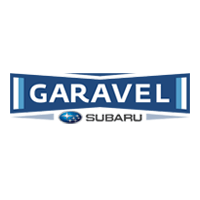 When you are ready, contact us at Garavel Subaru in Norwalk to schedule a test drive. Our friendly staff is dedicated to creating a pleasant customer experience for you!